Spring is when the weather gets warmer and people start to think about dating. How about you make a date with an avocado for St. Patrick’s Day? 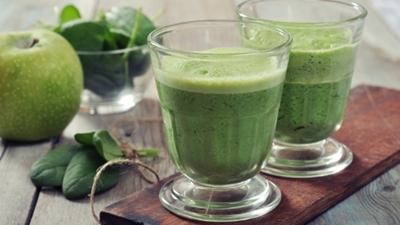 Celebrate St. Patrick’s Day (March 17) with a healthy recipe for an avocado and date smoothie. It’s relatively quick and easy and it’s a smooth way to celebrate St. Patrick’s Day that primarily promotes the color green and drinking. Begin your day on a high note with the scrumptiously delicious combination of avocado, medjool dates, and spinach. A green smoothie is a great way to load up on nutrients in the morning, especially with some avocado, spinach, and dates. They all contain potassium and dietary fiber. Potassium is important for lowering blood pressure and helping your muscles and nerves function properly. The fiber will help you maintain healthy cholesterol and blood sugar levels, as well as allowing for healthy overall digestion. You will be well-balanced with this green smoothie. This healthy recipe is considered one serving; however, there may be enough to share with a friend or family. You’ll receive ample health benefits to proceed through your day. Call it the luck of the Irish, or just pure deliciousness! Happy St. Patrick’s Day! Place each food item in your blender in the following order: unsweetened non-dairy milk or water, organic spinach, avocado, medjool dates, nut or seed butter, and ice cubes. Blend for 30 seconds or until smooth. It makes two cups, which is considered one serving. Enjoy this quick and easy green and healthy recipe! Vogel, L., “Ultra Green Smoothie,” Healthful Pursuit web site, June 26, 2012; http://www.healthfulpursuit.com/2012/06/ultra-green-smoothie/. Mateljan, G., The World’s Healthiest Foods: Essential Guide for the Healthiest Way of Eating (Seattle: George Mateljan Foundation, 2007), 98, 298, 752-753, 776. Campbell, M., “Nutrition in Medjool Dates,” SFGate web site; http://healthyeating.sfgate.com/nutrition-medjool-dates-5371.html, last accessed Feb. 27, 2014.